Light-Sport Aircraft and Sport Pilot kit aircraft owners will welcome a focus on their aircraft for insurance needs. While Aviation Insurance Resources — or simply AIR — provides a full range of aircraft insurance and aviation insurance products for pilots of any aircraft, they have an interest in and knowledge of recreational aircraft. AIR is a broker of insurance, not an insurance company. 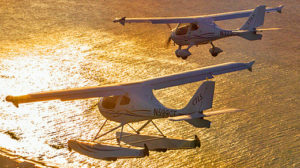 Because of their relationship with many insurance companies, they can shop for availability for any recreational aircraft and can get the best price quotes. Many customers acknowledge this (see link below). 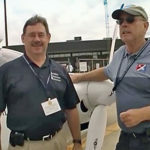 A regular at the light aircraft shows is Gregg Ellsworth, by now a familiar face to many recreational pilots. He knows insurance, that's a given. However, Gregg also knows the aircraft you fly, and he is backed up by an entire group of fellow aviators. Call Gregg (or anyone at AIR) by dialing 877-247-7767. Pilots Helping Pilots — "We represent all of the major aviation insurance markets so we can offer you the broadest package of protection at the best available rates," says AIR. They know what they speak about, too, because nearly everyone at AIR is also a pilot. 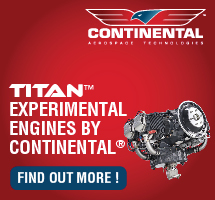 "As fellow aircraft owners, AIR understands your needs and challenges in owning an aircraft." 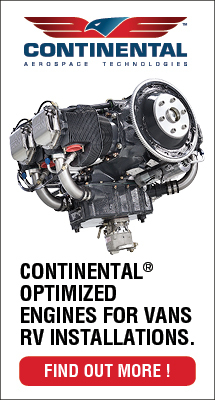 No matter if your fascination involves seaplanes, kit-built aircraft, LSA, or most kinds of recreational aircraft, AIR can provide an economical solution for your needs. Even more alternative aircraft such as weight shift trikes, powered parachutes, or motorgliders can usually obtain insurance. AIR can find willing insurance companies to underwrite coverage for most of the popular brands able that are able to support their aircraft owners with spare parts and in-country repair services. Aircraft Renter Insurance — What if you don't own your own aircraft? No problem. "When you rent or borrow an aircraft you may not be protected by the owner’s aircraft insurance policy, including your local FBO," says AIR. "If there is an accident [with a rented aircraft] you may be held legally liable for damages to the aircraft, or even worse, injuries to others out of your own pocket." AIR can provide insurance for rented aircraft, too. Flight Schools & Flying Club Insurance — Flight schools and flying clubs are the backbone of the aviation industry. Aviation Insurance Resources can provide a full range of aircraft insurance and aviation insurance products, including flight school insurance and insurance for flying clubs of all sizes. AIR is licensed in all 50 states with regional offices throughout the country to better serve pilots and aircraft owners! Don't only take my word for AIR insurance services. Read these testimonials from their customers …lots of them! Get insurance to protect yourself and your family. Then, GO FLY! Aircraft Insurance is one of those things pilots need. You want to protect yourself, your aircraft investment, and anyone who may be affected by the operation of your aircraft. You own an airplane — or you are considering buying one.